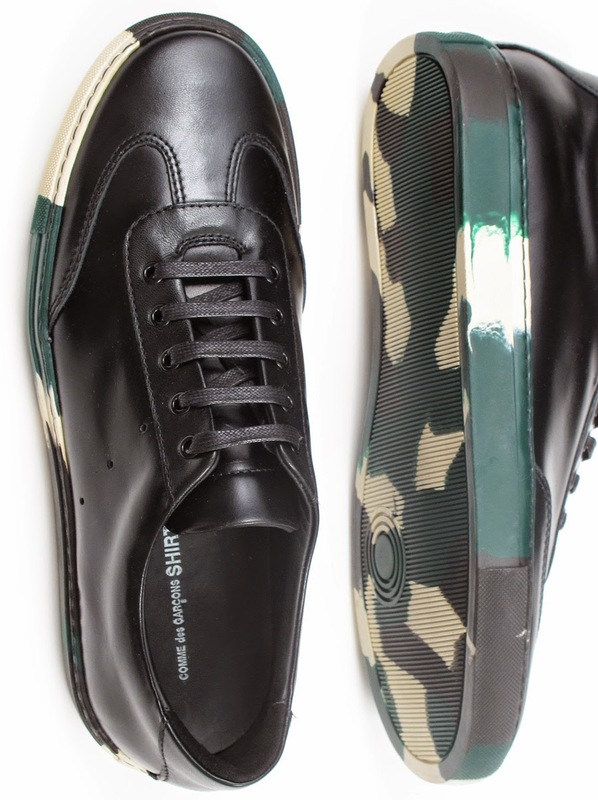 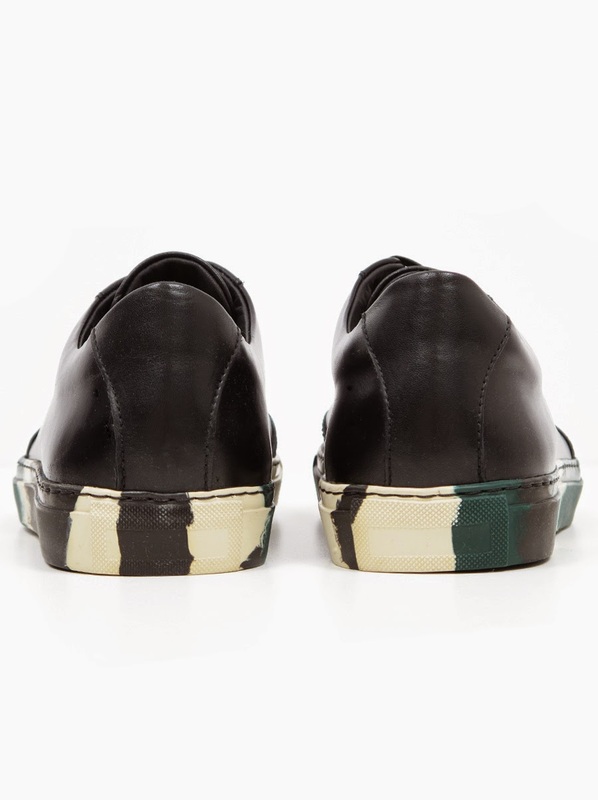 Keeping it menswear savvy and also menswear iconic is how Comme Des Garçons chooses to do it with their new Camo Sole Shoe for Fall. 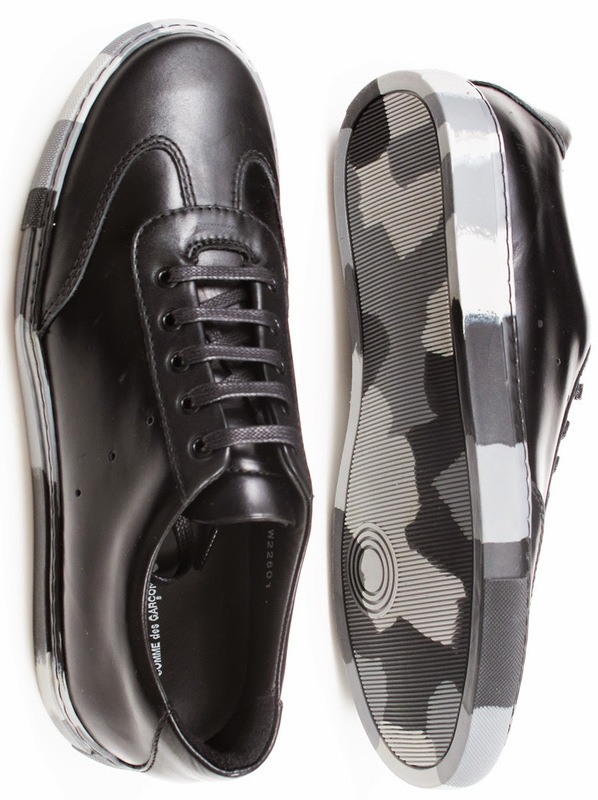 The upper is slick crisp black leather with a minimal German running sneaker style while the sole is a cool marble effect camouflage. 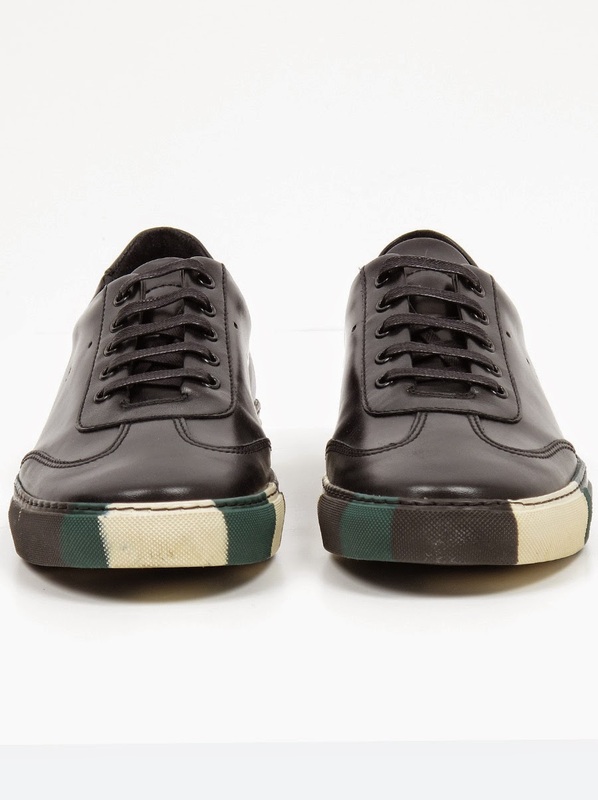 The result is a pristinely executed shoe with enough whimsical and polished execution to get you through the Fall/Winter. 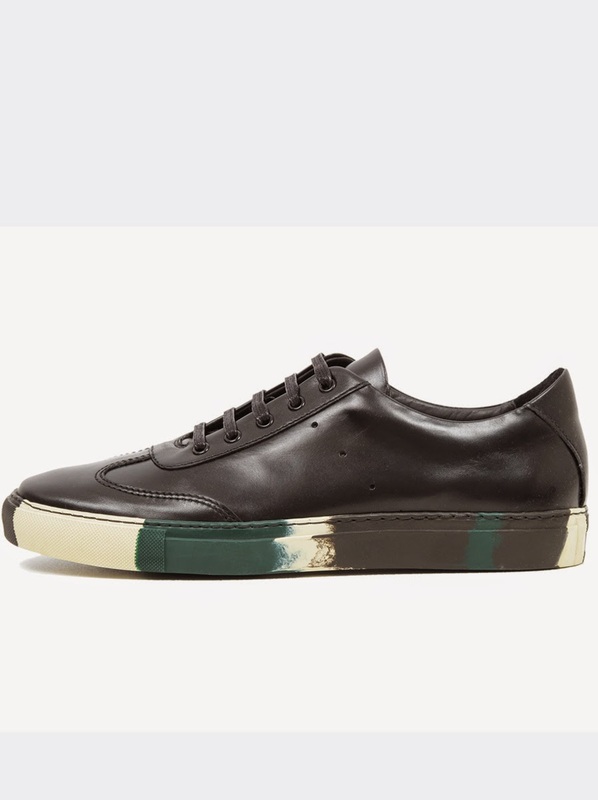 Available now in both color ways at Odin NY.